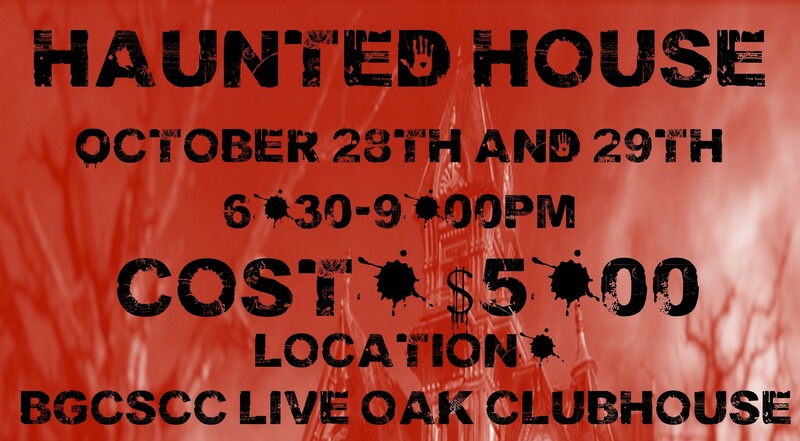 Our Live Oak Clubhouse teens are putting together a truly scary Haunted House experience for the Friday and Saturday nights of Halloween weekend. Join us on October 28th and 29th from 6:30p – 9p for some fun! Not for the faint of heart, though tamer activities will be available for the little ones or those not interested in the shivers. All proceeds will go to the Teen Center, and we thank our sponsors: Amy Anderson, Leslie Calderoni (author of the young adult fiction Tempest Trilogy), and the Shoreline School of Cosmetology. For more details, email Melissa at melissa@boysandgirlsclub.info or call (831) 477-4095.